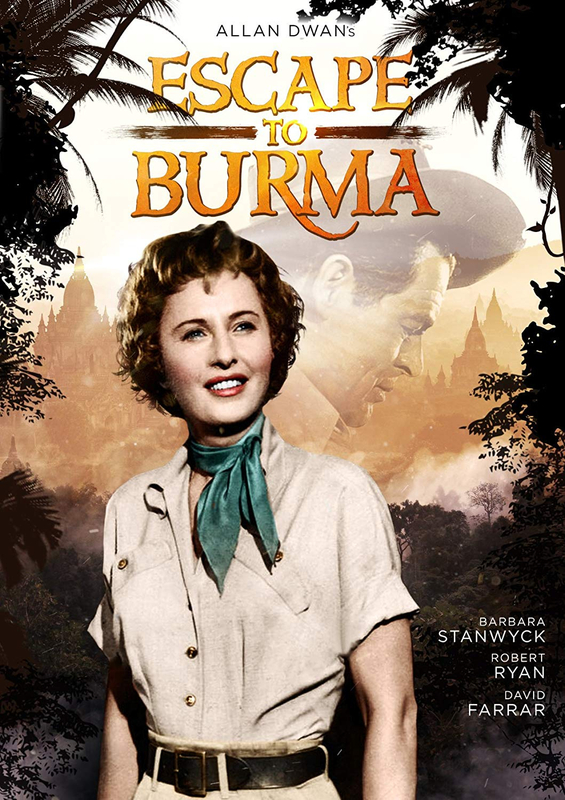 Classic adventure drama directed by Allan Dwan and starring Barbara Stanwyck, Robert Ryan and David Farrar. Feisty plantation owner Gwen Moore (Stanwyck) is surprised by the arrival of Jim Brecan (Ryan) on her property. Brecan is a fugitive on the run, accused of murder. Pursued by both the police and the Sawbwa of Sakar (Robert Warwick), he manages to convince Gwen of his innocence before disappearing into the jungle in an attempt to evade his would-be captors. Cardigan (Farrar), a colonial police officer, is hot on the heels of Brecan as he flees through the Burmese jungle. Sent at the behest of the Burmese prince whose son was murdered, Cardigan has been ordered to bring back the head of the killer but is himself determined to follow the rule of law and give Brecan his due process.